The Leomarick Trans bus accident occurred on April 18, 2017 (Tuesday) in barangay Capintalan, municipality of Carranglan, province of Nueva Ecija. At least twenty-six (26) passengers died and around twenty (20) others were injured. 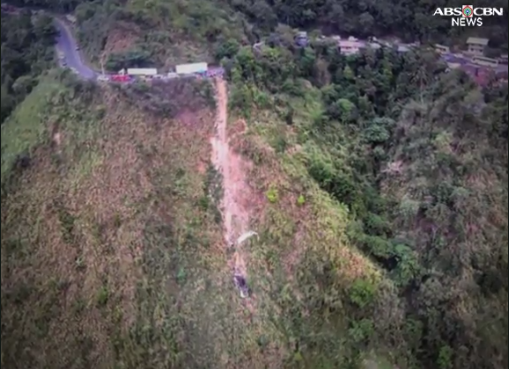 The bus originated from the province of Isabela and was on its way to Candon City in the province of Ilocos Sur when it fell off a steep cliff (an 80-foot ravine) around eleven (11:00) in the morning. Injured passengers were rushed to hospitals in Bambang, Aritao, and Bayombong in Nueva Vizcaya and San Jose City and Cabanatuan City in Nueva Ecija. These hospitals include Veterans Regional Hospital and Nueva Vizcaya Provincial Hospital. Due to the incident, the Land Transportation Franchising and Regulatory Board or LTFRB announced that they will issue a 30-day suspension order against the operators of the bus as police investigation of the accident continues. According to news reports, the accident was caused by malfunctioning brakes. Mary Abad, the sitting Mayor of Carranglan told ABS-CBN in an interview that the bus was carrying sixty (60) passengers which is way beyond its forty-five (45) capacity.